Watch TV Without Profanity! 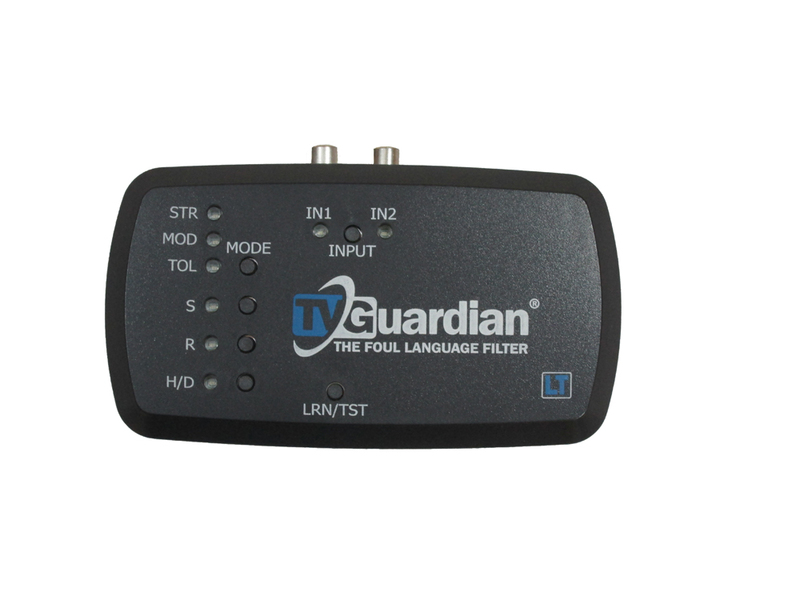 TVGuardian automatically mutes foul language while watching cable & satellite TV; movie channels like HBO, Starz, Showtime, Epix, Pay-Per-View and Video-on-Demand; and most DVDs. Please understand how the TVGuardian works and it’s limitations before you place your order. TVGuardian LT simply mutes phrases with foul language; it does NOT display closed captions like previous models. New! Works with any HDTV, Standard TV and/or Audio Receiver. New! Learns standard IR remote control codes to mute both a TV and an Audio Receiver. New! No HDMI cable connection required for HDTV muting. New! Smaller than a smartphone. Connect two video sources: cable or satellite box, DVD Player, Blu-ray Player, VCR. Strict, Moderate and Tolerant Filter Settings. Fine-Tune Filtering Options: Offensive Religious References, Sexual References, Hell/Dam. 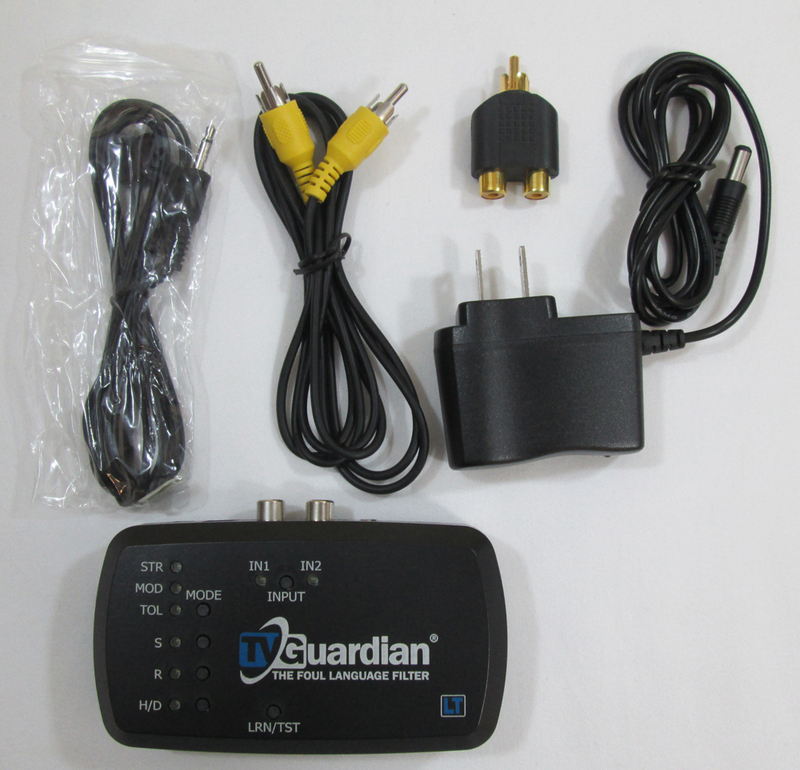 TVGuardian LT is the seventh TVGuardian model since 1998. 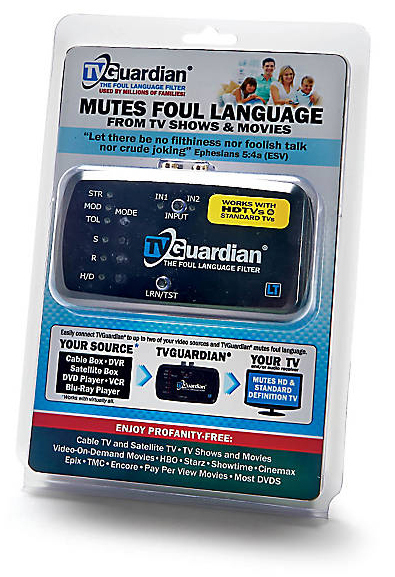 More than 12 million TVGuardian enabled products have helped families watch TV shows and movies without profanity and foul language!